It is pretty much obvious that ignition models are by far my favourite ones!!! 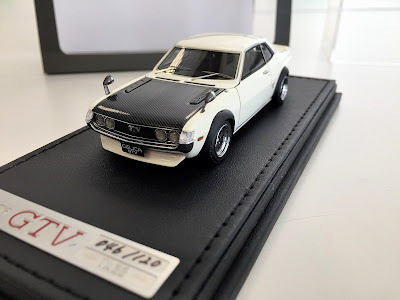 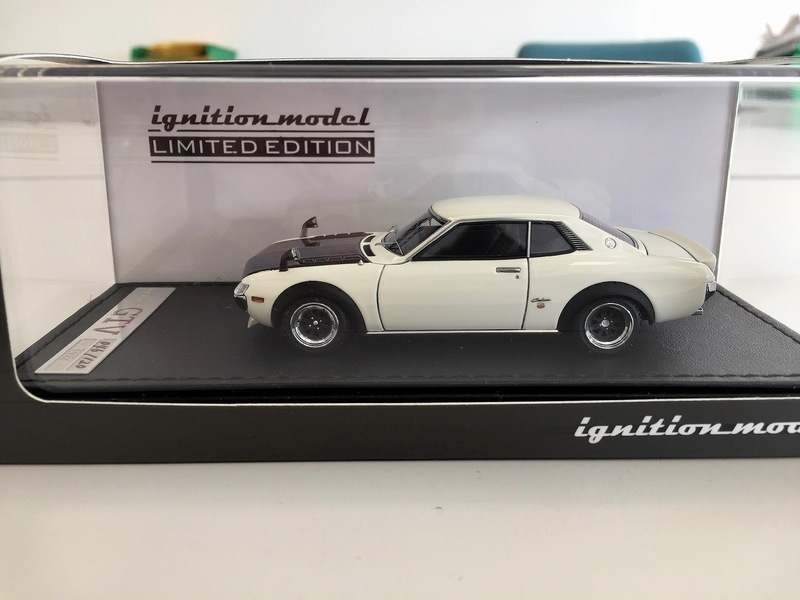 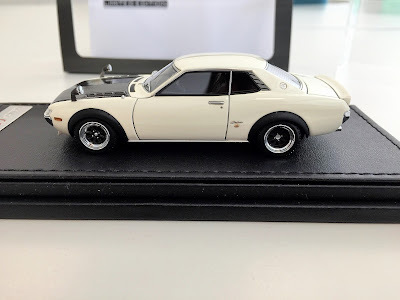 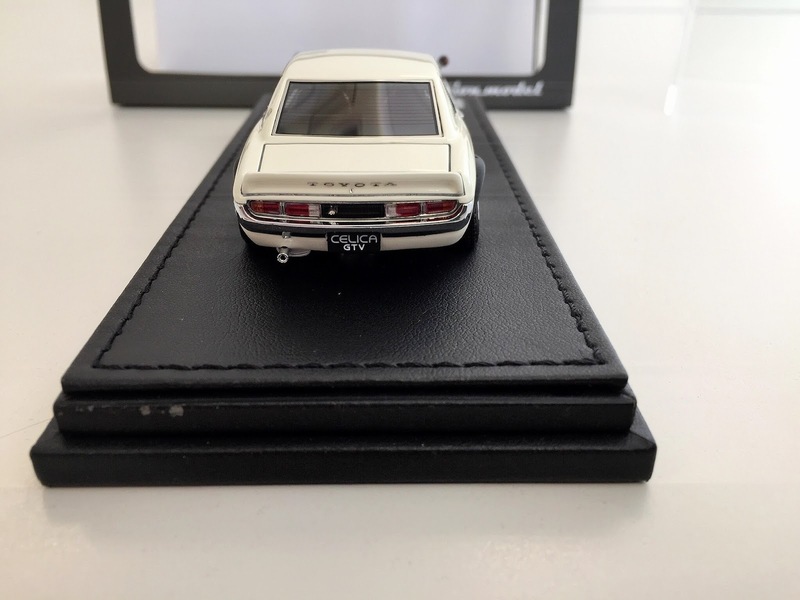 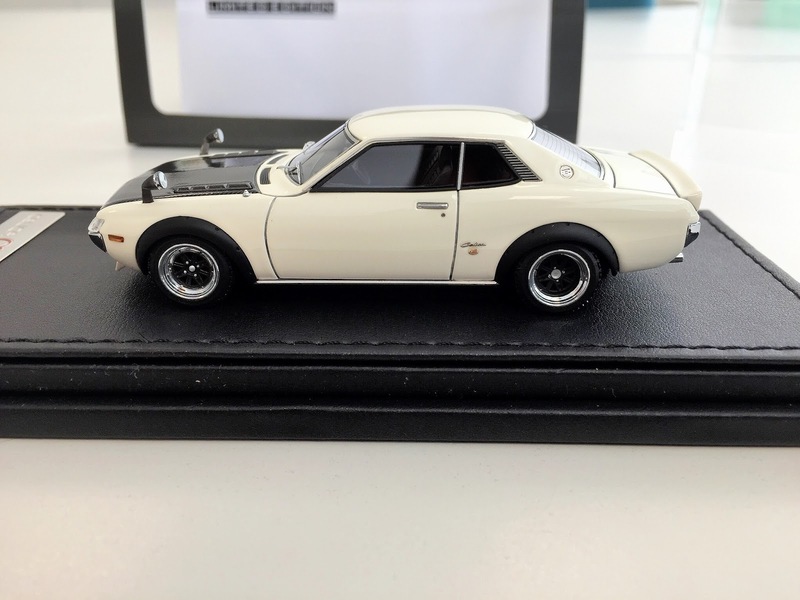 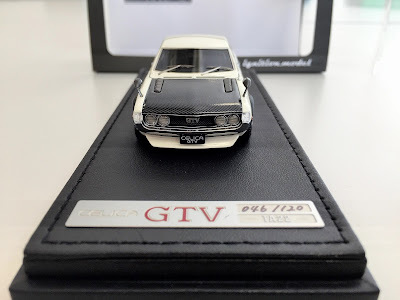 My contact in Japan was able to get me the limited edition version of the Toyota Celica 1600GTV (TA22) model, with only 120 pcs made. The specific model has a carbon fiber bonnet, lowered suspension and cambered (onikyan 鬼キャン) SSR type 14” wheels, front and rear spoilers, as well as front and rear fenders in matt black.